Safety Screens can help provide “peace of mind” when a kiln is firing in a classroom or studio. The outer surface of a kiln during firing can exceed 400˚F (204˚C), which can cause severe injury if accidentally touched. 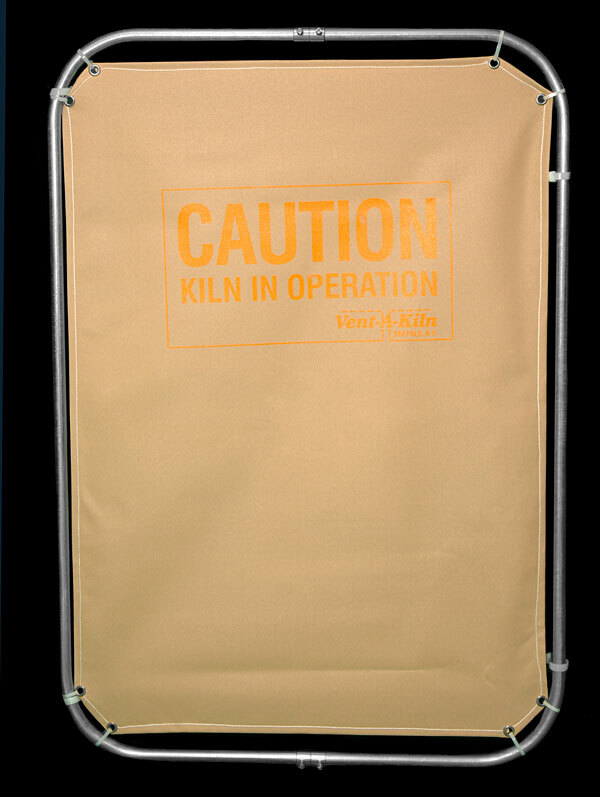 To alert students, children, and others to be careful when near a kiln, each panel on Safety Screens for kilns is imprinted in bright safety yellow: CAUTION – KILN IN OPERATION. Ideal for classrooms, ceramic studios, and in commercial, industrial, or institutional facilities where you need to keep unauthorized personnel out of a restricted work area. Made with flame-retardant canvas secured to 1/2-in. round steel tubing that is galvanized for corrosion resistance. Panels measure 2-ft. wide by 3-ft. high. Easy to assemble – click here for instructions. 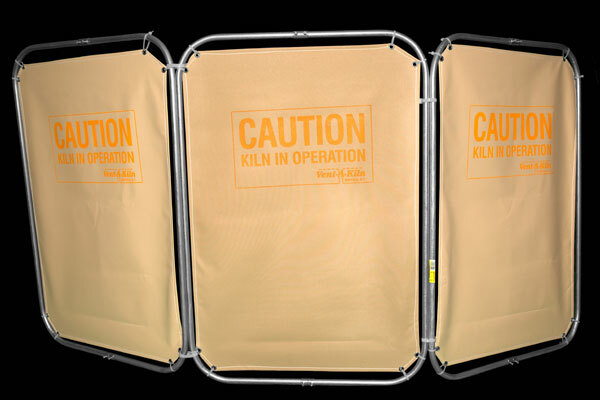 Our Safety Screens can be used for proper signage and barriers in any restricted zone, regardless of whether it is a source of heat and fumes. 1-Panel Safety Screens (complete with attaching hardware) attach to our 3-Panel Safety Screens to create a 4-Panel Safety Screen.